Last year we took a look at the top digital transformation trends in several industries. This year, we’re revisiting those trends to find out: Have things changed? Stayed the same? Any major unexpected disruptions? In law, as in many other industries, the results are a mixed bag. As we noted in last year’s piece, the legal industry has been fairly slow to catch up with digital transformation. That said, that means there is huge potential in this industry to optimize efficiency, improve processes, and offer new types of legal services altogether. 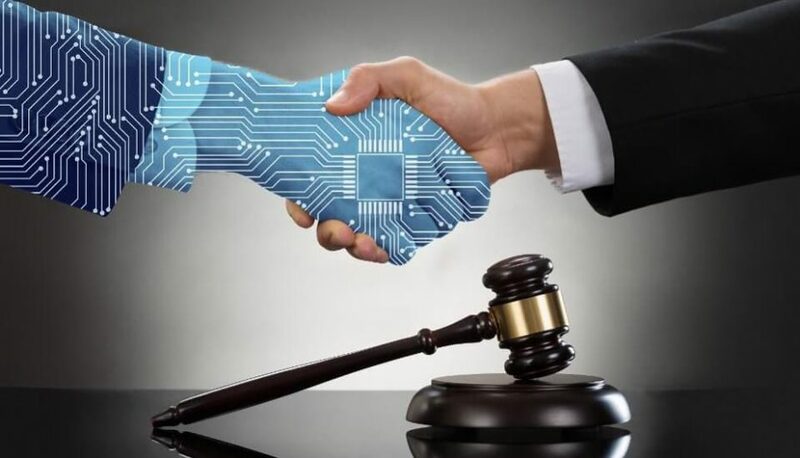 The following is a brief update on the top digital transformation trends in law for 2019. Imagine you’re in court fighting a stressful legal issue when your lawyer suddenly remembers: he left your files on his desk—back at the office. What do you do? These are the types of issues cloud and mobile services can help eliminate in 2019. In fact, I lump these two technologies together because without cloud, mobility would not be possible. This coming year, we’ll continue to see an increased focus on Software as a Service and other cloud-based mobile services that allow for improved accessibility of client files, old cases, and other legal resources. This is especially true when it comes to pay-as-go services that allow firms to tighten their overhead while improving service to their clients. In 2019, we won’t just be seeing online legal services, as we saw last year. We’ll be seeing entire virtual law firms take flight. Because of the increase in cloud and mobile, legal professionals will have greater flexibility in where and how they work. This allows legal powerhouses on two different coasts to team up in one firm. With virtual meetings, it also eliminates virtual travel time. And, it will offer a greater work/life balance for legal professionals overall. For me, this is one of the more exciting digital transformation trends in law because it could lead to a healthier, less stressful lifestyle for an entire industry. Perhaps because they’re saving so much time with mobility and virtual lawyering, more legal professionals are popping up on social media, and not just in traditional spots like LinkedIn. A new wave of legal podcasts have popped up, and I truly believe it’s because today’s lawyers are utilizing the time saved from pre-digital processes to take on these personally fulfilling projects. (If you want a recommendation, one of my favorite legal podcasts is Undisclosed.) I anticipate we’ll see a growing number of lawyers find their place on social media, connecting with the public and one another—be it YouTube, blogging, or podcasting—in 2019. And when it comes to digital transformation trends in law, this makes me really excited. It makes legal issues of all kinds more accessible to all of us, and helps highlight the important work our legal professionals are doing every day. I’m not sure whether to classify this under “digital transformation trends in law” or simply “common sense.” To be fair, many industries are lax on cybersecurity until something terrible happens. And that’s exactly what took place for the legal industry last year, as it saw 11 million files leaked from one firm—a firm which has since shut down. But it’s not just one company. Research shows 80 percent of the largest firms in the United States have already experienced a malicious breach. The study also found nearly 60 percent of all emails directed at the firms was classified as phishing. That’s enough for anyone to wake up and consider how well their security is protecting their client’s information. We’ll see a huge increase in this—dare I saw with blockchain—in 2019. Imagine how embarrassing it would be to greet a client, ask how his wife is—and find out he has been divorced for the last six months. When it comes to managing our personal affairs, we want professionals who know us—people we can trust. That’s why we’ll be seeing a huge and increasing focus on customer relationship management in 2019. This software makes it super easy to consolidate client files—update them with the latest information—and do a quick read-through before the next big meeting. CRMs don’t just save face. They save time and improve case management, as well. This is one of the digital transformation trends in law to watch for. When it comes to law, it’s all about performance. Just like last year, we’ll see a focus on using technology for analyzing data, managing caseloads, forecasting outcomes, and even deciding on whether or not to take on a new client. More than 50 percent of top global law firms today are using some form of business intelligence to enhance performance management, and I wouldn’t be surprised if that number hit 75 percent or higher in 2019. When it comes to understanding your business, it’s a no brainer. I add this to my list this year because with the massive influx of digital data (emails, texts, voicemails, electronic calendars) now open for analysis in legal proceedings, lawyers need help processing all of that information quickly. Today’s AI and machine learning are going a long way to make that process much less cumbersome, and I anticipate this becoming a growing niche industry in 2019—with some firms even using AI to assist with decision-making in litigation. While the legal industry isn’t necessarily known for jumping on digital transformation trends in law, they’re definitely coming around to the idea of incorporating new technology in places that will save time and money, and while also improving case outcomes. This will increase exponentially in the year to come.